If you’re here because you or a loved one suffers from Parkinson’s Disease then I’m sorry. I’ve worked with it a few times in the past couple of years and do understand what a debilitating condition it can be. Research into the use of hypnotherapy is fairly rudimentary but medical bodies are showing an increasing interest in it’s ability to help sufferers to relieve their symptoms. Here’s a page which explores the topic of RESEARCH into this area. I’ve worked with Parkinson’s patients in both Oxford and Reading and have found that hypnotherapy can help in several ways. This page will explore some of those areas in what I hope will be a helpful amount of detail. 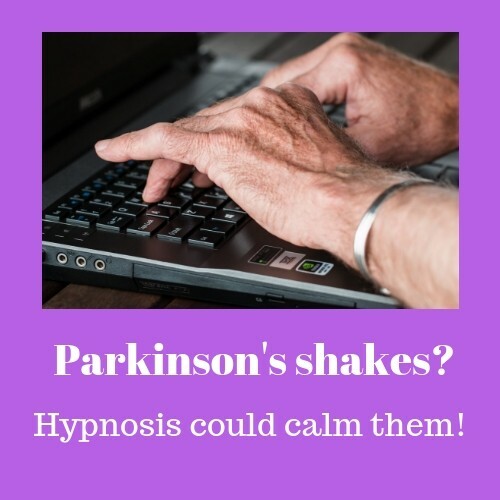 The tremors and shakes which come with Parkinson’s Disease are its most obvious symptoms and can be amongst its most distressing. They interfere with everyday activities such as eating, writing and other fine motor movements. They often cause social anxiety and sufferers can fear that they’ll experience rudeness from less than understanding people around them. One lady was rudely confronted as she sat in a cinema. The lady next to her angrily announced that she couldn’t bear it any longer and left her seat in a huff. It’s hardly surprising that my client wasn’t too keen on going to a cinema ever again. Who wants to eat soup in public when they can’t safely hold it in their spoon? The more stressed one becomes as a consequence of tremors the more one trembles. The more one focuses upon it, the more it worsens. Confidence retreats and the sufferer spends more time at home – focusing on their tremors more fully in the quiet of their own sitting room. Hypnosis can help the person to relax around their shakes. They can relax into them. They can use neuro-plasticity (see the video above) to imagine their reduction. Hypnotherapy can help people to exert a degree of control over this symptom. That’s not a bad start, is it?! Hypnotherapy can help people with Parkinson’s to summon the confidence to get back out into the world, determined to enjoy themselves and ‘damn those’ who’d be rude or otherwise unhelpful. 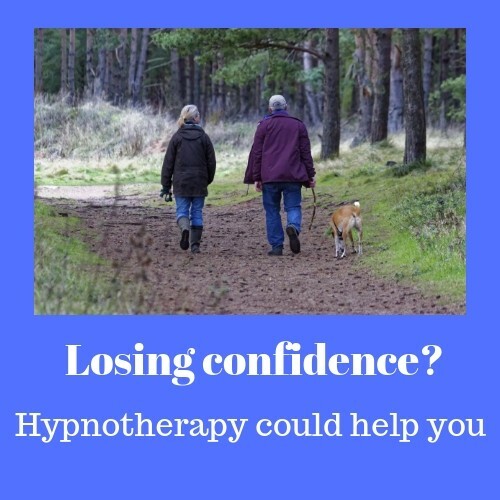 Hypnotherapy can help with confidence when walking. a) focus upon an activity which was once effortless and instinctive. This only increases the chance of making mistakes and thus falling. b) stay sat down, leading to muscle loss, depression and a further retreat from the world. c) stay at home and fret about the present and the future. This, of course, feeds into the first point. The less confident they are with walking the more they stay at home and thus have so much more time to focus upon their shakiness and trembling. Hypnotherapy can help restore this confidence. It can help people to summon the motivation to refuse to be beaten. It can help them to step back, one step at a time, into their old lives and to keep on moving. I have to be careful here. There’s no use in pushing Parkinson’s patients too far, too fast. It would be all for the best if my efforts were to be aligned to those of a suitably qualified and experienced physiotherapist. 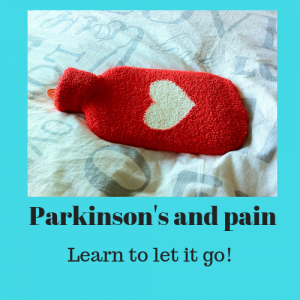 If you or your loved one has allowed Parkinson’s to drive them back into the safety of an armchair then they will quite likely need some help in restoring muscular strength. A physiotherapist will be needed for this. Anxiety and depression? Hypnotherapy could help here too! Doctors all too often neglect this aspect of the condition. Parkinson’s Disease, as you well know, is a degenerative illness with no cure and nothing good lies at the end of it. 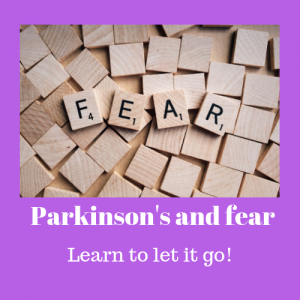 The diagnosis of Parkinson’s can appear to be a slow-motion death sentence and so it’s hardly surprising that the Postgraduate Medical Journal cites 40% of Parkinson’s patients as also suffering from clinically significant levels of anxiety. I’m surprised that the figure isn’t higher. It’s a myth (perhaps invented for the comfort of the young) that elderly people grow to feel at ease with the idea of death. Death related anxieties are common in people facing this condition, as is the fear of being dependent, a burden upon loved ones and friends. This only leads to withdrawal, isolation and further anxiety. Depression and anxiety are my bread and butter. I work with them every day. When it comes to end of life conditions the task is one of helping the client to squeeze every last drop of joy and pleasure from the time they have ahead of them. Listening, in a safe and permissive space, to their fears and worries whilst helping them to engage with the world as far as is still possible can work wonders. Parkinsons may be an end of life condition but it’s not the end, not quite yet, and there’s still time to live. I’m here to help you or your loved one to make the best of a rough deal. I’m here to listen, support and guide. If you need some help in dealing with things then give me a call and we can discuss how hypnotherapy could help you. Hypnotherapy can’t take away the disease’s brutal truths but it can help clients to mitigate the psychological impact of its reality. There are various types of pain which are commonly associated with Parkinson’s disease. Musculoskeletal pain in the joints is frequently experienced, as well as cramps in the limbs. Pain management is one of the jewels in the crown of hypnotherapy. I was trained to help clients with pain by one of hypnotherapy’s leading lights: Ron Eslinger. One of the most important lessons I took from my training is that focus is all. If we focus on a sensation and interpret it negatively then pain becomes more acute. This is because the more we focus on anything, as the video explains, the bigger it seems. Furthermore, emotional and physical pain is processed in the same parts of the brain. It’s an evolutionary space and energy saving idea and what it means is that our emotional response to pain can either make it better or a whole lot worse. I train my clients to accept and dilute their experience of such sensations. I encourage them to get back to doing the things they’d be doing if they weren’t experiencing such things. This helps them to remove focus away from the offending pain and gets them back into enjoying life despite the symptoms of their condition. So, if you’d like some hypnotherapy for Parkinson’s in Oxford, Reading, London, Wallingford or Thame then simply get in touch. I’d love to talk with you. You could call me on 07786 123736 / 01883280284 / 01865 600970. You could email me at paul@resolvedhypnotherapy.co.uk or else simply use the contact form at the bottom of this page.